Jawa is one of the oldest motorcycle manufacturers in the world and the company was so popular in India as fans still remember their old two-stroke machines. The iconic two-wheeler manufacturer is coming back to India and the official debut will take place on November 15 as they are expected to reveal four new products. 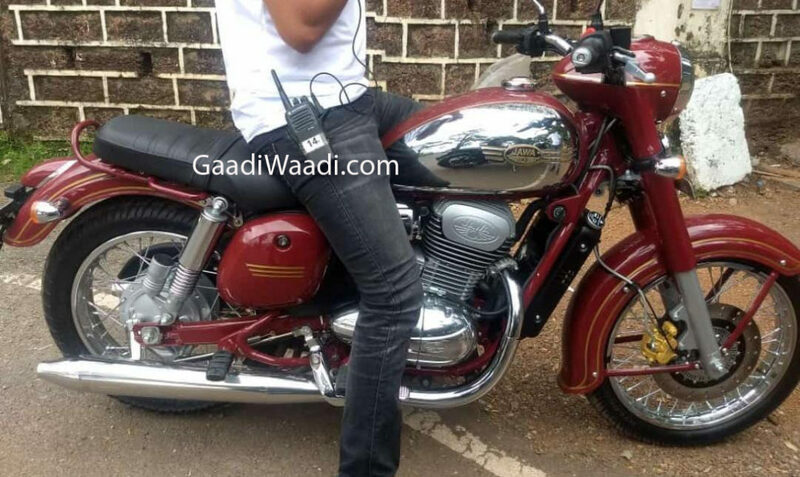 The company has released several teasers of its upcoming 300 Classic Roadster and the bike has been spied completely undisguised last week during a promotional video shoot. The latest teaser video starts with a tagline that “Think You Have Have Seen It All?” and in this video, the manufacturer is focusing on the exhaust note. The earlier Jawa Motorcycles were two-stroke machines and the exhaust note was throaty. According to Jawa, a group of acoustic engineers have worked on the 300 Classic Roadster to tune the exhaust to produce the old two-stroke motorcycles sound and from the video, the exhaust note of new model is some what similar to old two-stroke models. The upcoming 300 Classic Roadster is powered by 293 cc, liquid cooled, single cylinder engine with fuel injection producing 27 bhp of power and 28 Nm of torque. This engine will be mated to a 6-speed gearbox and the engineers have tuned to offer punchy mid-range performance while the torque curve will be flat to offer good performance across the rev range. The 300 Classic Roadster is going to compete against the likes of Royal Enfield Classic and Thunderbird series as the company has decided to stick on to the retro design theme. The front gets round headlamps with telescopic suspension and a new design for front fenders. The fuel tank also gets chrome finish for the retro theme. The company has given single piece seat and the design of grab rail is simple. The rear fender continues the retro design theme and the tail lamps get conventional lamp rather than LEDs. The 300 Classic Roadster comes with dual exhaust and gas charged suspension at the rear, which is tuned for comfort. The braking power comes from disc brakes at front and rear with single channel ABS system.